The VSA Multi-Platform Prism Strategy Package contains everything you need to trade using VSA. 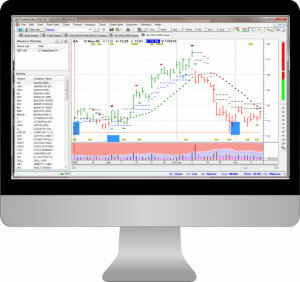 A complete mix of software tools, scanners with our SMART technology and simple rules-based trading strategy. A complete mix of software tools, scanners with our SMART technology and simple rules-based trading strategy . This document is the complete "Blueprint" for stocks trading and investing. The whole process is distilled down to 6 steps and 10 rules. All you need to do is follow the rules to start trading the stock markets straight away. No more detailed chart analysis needed. No educational courses to complete. The scanners also indicate when VSA sequences have been identified to alert you to higher probability trades. The scanners significantly reduce the time-consuming process of manually analysing multiple time-frames across many price charts. When the scanners have alerted you to trend alignment, then the VSA software tools provide valuable guidance on when to enter a trade and when to exit a trade. The VSA indicators split into 2 types. The first type indicate indicate signs of weakness or strength which could lead to a change in market direction, the 2nd type are confirmation signals to confirm the change. These uniquely powerful signals provide crucial decision support when taking the trade. The trade management tools help you to manage your risk by managing the trade. The VSA Software tools are unique proprietary tools which identify when the professionals are buying, selling, or not participating. This mentorship course reinforces the process laid out in the strategy document. Using live trading examples the course shows the trading process in real live trading scenarios. All the learning points are brought together during the 3 key trading phases - Scan Confirm Trade. Discover how to establish the right mindset so that you can handle and manage your expectations. Further explanation and demonstration of the rules-based strategy based around a simple 3 stage Scan Confirm Trade process. You can then add symbols from this list to Trading Platform and scan them in the VSA SMART Center to help alert you to potential trades. This is a very powerful combination of finding stocks and scanning. Please note, whatever 3rd party trading platform you use for Prism, to use the Stock Scanning tools in the TG EOD software, it will require it's own separate MetaStock data-feed. Tradeguider's SMART technology has refocused the entire trading process. Until the invention of SMART technology 80% of the time was spent in market analysis and chart reading and only 20% on actual trading. With SMART that ratio has reversed. Now everything is scanned, managed and monitored in one place. For the first time the trending tools and the volume tools are now analyzed automatically with the SMART process. In a nutshell the system will scan the larger time-frames and alert you when there is alignment across time-frames and trends. Once you see this you can then ask the system to scan for VSA confirmation signals. The system will alert you when the signals have been triggered. You can then look at the chart and enter the trade. The system alerts you with visible and audio alerts so you do not need to be tied to the trading platform any more!